Archival pigment print, 16 x 20 in. Gelatin silver, printed 2013, 16 x 20 in. Gelatin silver, printed 2013, 20 x 16 in. Steven Kasher Gallery is honored to present the exhibition Vietnam: The Real War: A Photographic History from the Associated Press. Included will be over one hundred photographs in black and white and color, as well as posters, periodicals, and other documents from the era. The exhibition includes work by over 25 photographers. 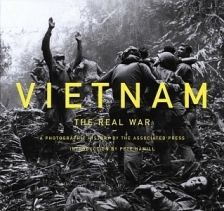 It is mounted in conjunction with the release of Vietnam: The Real War (Abrams; October 1, 2013; 304 pages; 300 photographs). In Vietnam in the 1960s and 70s, the Saigon bureau of the Associated Press was the largest and most experienced news service covering the War. It gathered an extraordinary group of superb photojournalists, creating one of the great photographic legacies of the twentieth century. Organized chronologically, the images in the exhibition tell a story of the war that has left a deep scar on the world. Included are Malcolm Browne’s photograph of the burning monk, Nick Ut’s picture of a nine-year-old girl running from a napalm attack, and Eddie Adams’s image of the execution of a Viet Cong prisoner. Also exhibited, for the first time, are the before and after images from those indelible events. 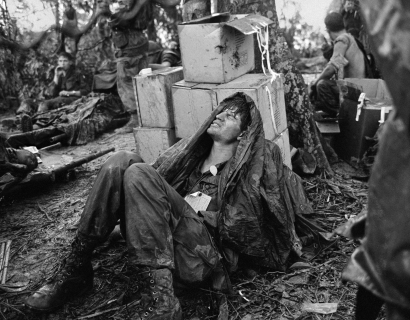 From Vietnam, photographers taught the world how to see the war. Say the word ‘Vietnam’ today to most people of a certain age; the image that rises is usually a photograph. An AP photograph.” —From Pete Hamill’s introduction to Vietnam: The Real War. 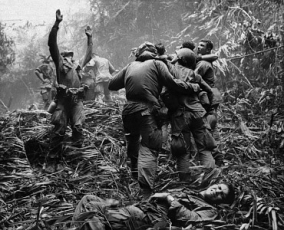 Vietnam: The Real War: A Photographic History from the Associated Press will be on view October 24th through November 30th, 2013. Steven Kasher Gallery is located at 521 W. 23rd St., New York, NY 10011. Gallery hours are Tuesday through Saturday, 11 AM to 6 PM. For more information about the exhibition and all other general inquiries, please contact Maya Piergies, 212 966 3978, maya@stevenkasher.com. The 92nd Street Y has organized a panel discussion "Defining Vietnam" featuring war correspondent Peter Arnett, veteran combat reporter Kimberly Dozier, and author Pete Hamill. 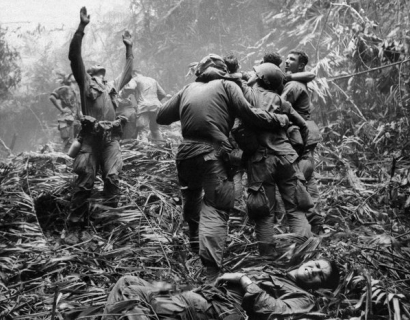 They will discuss the photographs from the critically acclaimed exhibition we mounted last October, Vietnam: The Real War: A Photographic History from the Associated Press. The New York Times previews our October exhibition, Vietnam: The Real War, A Photographic History from the Associated Press.